B.K.S. Iyengar is considered by many to be one of the most important modern yoga teachers. He spent much of his life introducing the modern world to the ancient practice of yoga; and is the foundation of Marianne’s teaching style and philosophy as a yoga student herself. In Light on Life, B.K.S. Iyengar brings readers this new and more complete understanding of the yogic journey. 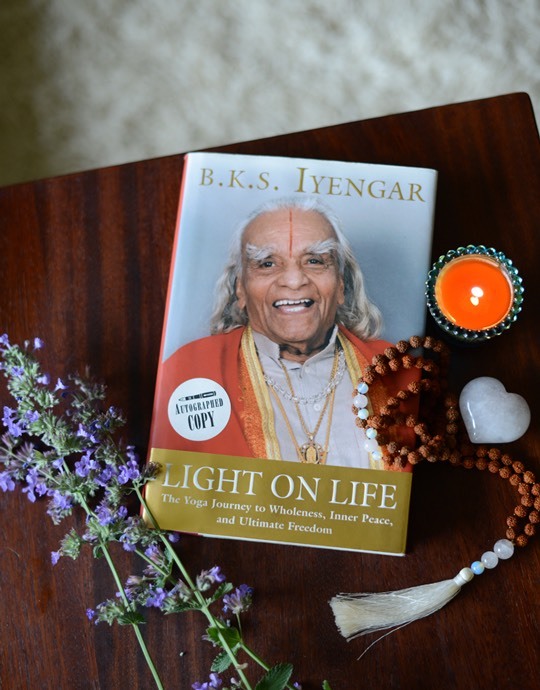 Written towards the end of his life in 2005, Light on Life is the culmination of a master’s spiritual genius, a treasured companion to his seminal Light on Yoga (1966).